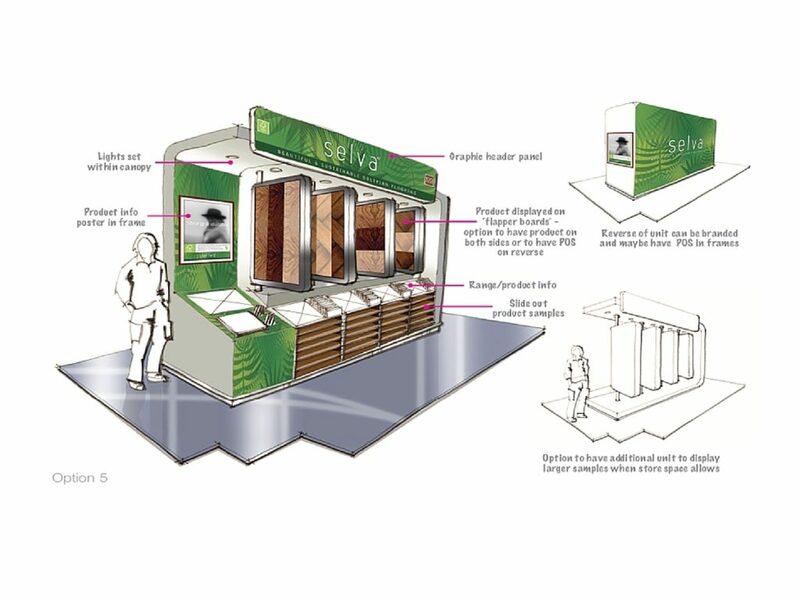 The Selva wood flooring range was created to meet the needs of two leading DIY retailers in Asia and Australia who wanted to offer FSC hardwood flooring to their customers. Hardwoods are hard-wearing, durable and beautiful. They are well suited to the Asian climate, whilst more widely available softwoods lack durability. Sadly, most hardwood flooring in China had been sourced illegally from rainforests in Indonesia. So B&Q in China and Bunnings in Australia were keen to obtain supplies of FSC certified hardwood for their flooring ranges. Big Idea spent months exploring options, leads and speaking to contacts about possible sources and supply of quality hardwoods with FSC certification. Eventually we found the perfect supplier in Bolivia. Here the business owner manages the forest extremely well, balancing the needs of the rural community with providing a safe haven for wildlife. We worked closely with this business to develop a range of hardwood flooring that the leading DIY retailers could sell with confidence. Using the brand naming workshop, we brainstormed a number of options, eventually recommending Selva – a brand name which evoked the desirable beauty of wood. The Selva brand colour palette is premium quality, with the core brand colours being black, green and white. The Selva brand logo uses a leaf icon to represent the sustainability of the sourcing in Bolivia. The concept and brand positioning for the range. Generating the Selva name, after brainstorming a number of options. The Selva brand identity – including the logo, typography and imagery. The packaging range using FSC cardboard boxes. POS concepts for high impact merchandising. Business development support, helping the Bolivian owner to sell the range into the leading DIY retailers.